Lauren Rebecca: Our Style & Link Up Premiere! Our Style & Link Up Premiere! 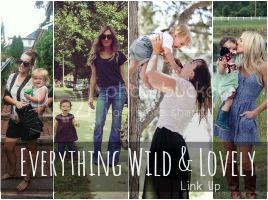 Hello lovelies, today is a special day because today, is the premiere of a brand new link up! My dear friend Alycia, from WildFlower, and I decided we wanted to share our Mama & Little fashion, all the lovely things in our lives, or even just what has been on our hearts lately. We are two Mamas who believe fashion is still possible after motherhood, that our babes are a blessing & that life is wild & beautiful. We share our wild and lovely with you each week. We would love if you would join us every Wednesday in sharing anything you like. & link up below to meet some new friends. Help us share by linking back if you can. I love these link ups! Such a great way to discover new blogs! Thank you! I'm so glad you like it! Working out a few kinks but we hope that it will be a great place for people to meet new friends. Thanks so much for linking up with The Great Blog Train! The top...the boots...It's all just fabulous! Love this linkup idea! I'll be back with my Ruby someday soon! Thanks for linking up for Passion For Fashion! such a fun idea! style as a mama is definitely an area i struggle with...perhaps this will inspire me to branch out a bit. :) love your top!! and your girl is absolutely adorable!! LOVE these photos!! your stunning and your little girl is beautiful! what a great sense of style you have! Tunics and boots are my FAVORITE thing! Love your style! That vintage top is so killer!